Remaining true to its original aspirations when joining in the World Trade Organization (WTO) in 2001, China has consistently stuck to free trade and expanded opening-up. With clouds of unilateralism and protectionism gathering on the global horizon at present, China has reaffirmed its commitment to multilateralism, and vowed to continue to build broader international consensus on promoting win-win cooperation and common development. Since its entry into the WTO in November 2001, China has devoted itself to liberalizing and facilitating trade and investment, firmly safeguarded the authority of the multilateral trading system, and unremittingly helped developing nations integrate into the multilateral trading system. By 2010, China had completed all its tariff abatement commitments, cutting the average tariff level from 15.3 percent in 2001 to 9.8 percent, Zhang Ming, head of the Chinese mission to the European Union (EU), was quoted by Brussels-based online newspaper EUobserver as saying. Foreign direct investment in China soared from 46.88 billion U.S. dollars to 136.32 billion dollars from 2001 to 2017, Zhang said. Meanwhile, China has established an intellectual property rights (IPR) legal system in conformity with WTO rules as well as suited to its national conditions. As of 2001, intellectual property royalties that China paid to foreign right holders have seen a yearly increase of 17 percent, amounting to 28.6 billion dollars in 2017, Zhang said. "With a new round of tariff cuts coming into effect on 1 November, China's overall tariff rates have been reduced to 7.5 percent, lower than the majority of developing countries and beyond the commitment China made upon its accession to the WTO," Chinese President Xi Jinping said in his keynote speech at the Asia-Pacific Economic Cooperation (APEC) CEO Summit on Nov. 17. As the largest developing nation, China's accession to the WTO has not only benefited itself, but also the rest of the world. China has stayed on the path of peaceful development, got actively involved in global economic governance, and actively supported other developing countries in their development, Xi said at the APEC CEO Summit in November that "we have implemented responsible macroeconomic policies and contributed a significant share of global growth." The global governance framework underpinned by the United Nations (UN) and comprising the International Monetary Fund (IMF), the World Bank, the WTO and other institutions has been "pivotal to global peace and development" in the past decades, Xi said in his APEC CEO Summit speech. China has now engaged in all-round contribution to the global governance which has yielded bountiful results. UN General Assembly President Maria Fernanda Espinosa applauded China's "critical role" in tackling climate change, and said she is impressed with the fact that the world's second largest economy has met its 2020 targets three years ahead of schedule. No matter how the situation changes, China will uphold multilateralism and support the UN to play an even bigger role, Xi said when meeting with UN Secretary-General Antonio Guterres on Nov. 30. China has demonstrated its commitment to trade liberalization and opening-up of its market. At the first China International Import Expo (CIIE) held in early November in Shanghai, deals worth 57.8 billion dollars were sealed. "I wish to welcome you all to the second CIIE to be held next year," Xi said, adding that "China will continue to significantly expand market access, strengthen IPR protection, and do more to increase imports." 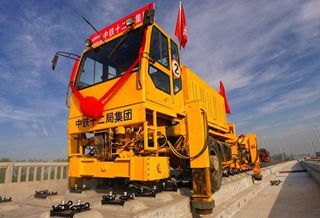 Besides opening its door wider, China will continuously push forward its Belt and Road Initiative (BRI) to build a community with a shared future for mankind. The BRI, proposed in 2013 to enhance connectivity among countries and regions, promote interconnected development, and create new space for global growth, is a major public good China has provided for the world, and a vivid demonstration of Beijing's commitment to openness and cooperation. China will continue to improve its business environment, and hopes that all countries will work together for a free, open, inclusive and orderly international economic environment, said Xi at the first session of the 13th summit of the Group of 20 in Buenos Aires this year.